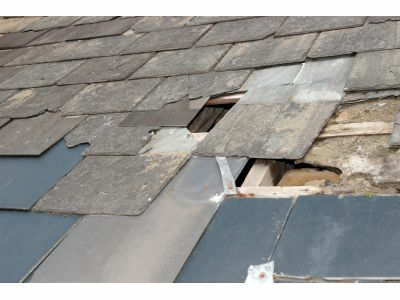 If you’ve been considering a roof assessment, you’ve almost certainly taken a look at the state of your roof. But, without knowing what to look for, it can be difficult to know whether or not you need to seek the help of a professional. Is the damage that you’re perceiving serious? Or is it merely cosmetic? Can your roof withstand another season of rain and snow? Or should you start planning for repairs now? In this post, we’re going to look at three indications that it may be time to call in a professional. Shingles are like a shield for your roof. They protect your roof from rain, snow and insect damage. As they are designed to drain excess water, missing shingles can lead to water buildup and, even worse, rot in your roofs underlying structure. If you notice rust spots on your roof’s flashing, you may have problems with your seals. Damaged caulk can allow moisture to seep into the cracks and crevices of your roof, causing damage that can – over time – become much more serious. If you find vegetation or mold growing on your roof, it is absolutely time to seek a professional roof assessment. This growth indicates that your roof is rotting or decaying underneath its defensive layers. To ensure that your roof endures, have an inspection performed and plan on executing repairs to remove the growth and, more importantly, address its underlying causes. At Wharry Engineering, we provide a wide range of roof inspection services for all types of roofs. Whether commercial or residential, our knowledge of roofs allows us to identify points of failure and recommend essential repair – or reroofing – services. If you suspect that your roof needs an assessment, contact us today to discuss how we can help.